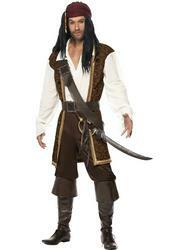 This stylish pirate fancy dress costume is perfect for any Man looking to transform himself into a stylish swashbuckler. 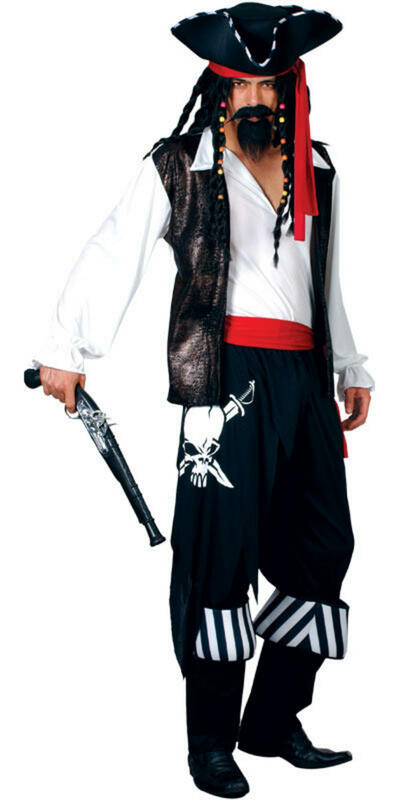 The costume comprises of a white shirt, long dark coloured waistcoat, black trousers with attached black and white boot toppers and is completed with a waist sash decorated with an authentic skull and crossbones print and a stylish looking black and red pirate's hat. 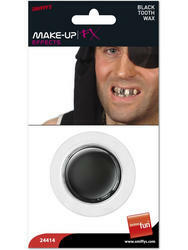 Perfect for any fancy dress party especially one with a Pirate theme. 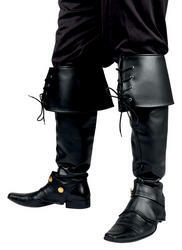 Black and red pirate's hat.